Sign-ups start at 8:30pm. Close at 9:30pm or ealier if all slots are filled. 10 spots available. Solo singers only – no duets or groups. All music tracks will be played from a licensed manufacturer karaoke track CDG only. Once you have checked in, there will not be any song changes permitted for that night’s performance. If someone else sings your song, sing it better! There will be no swearing or inappropriate behavior allowed on stage. Keep performance limited to a PG, family approved rating. Contestants cannot consume alcohol while on stage. If you are noticeably intoxicated or acting inappropriately, you will be asked to withdraw from the contest for that week. Top 2 contestants from each week will advance to the finals. 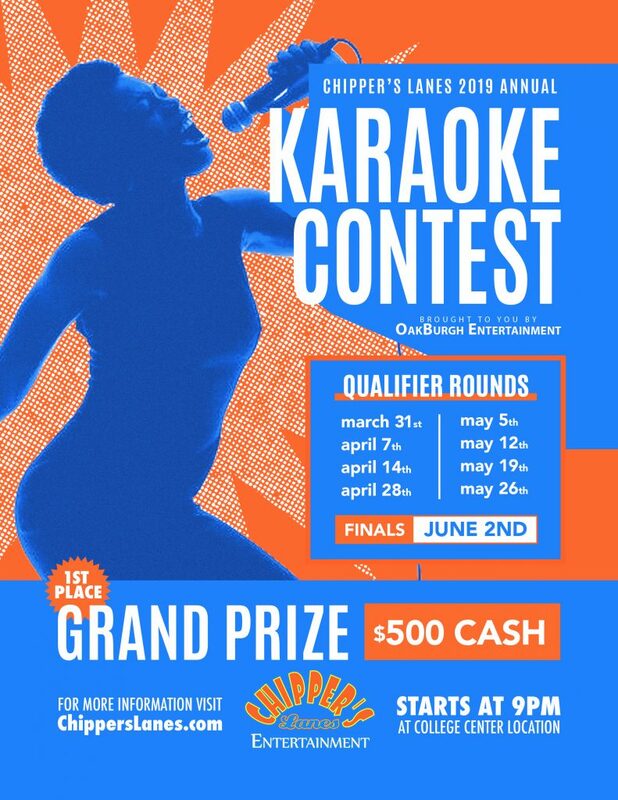 Contestants must be present at the time of each night’s announcement of winners for that evening’s performance. If they are not, their spot will go to the next runner up. Sorry, No repeat singers who have won the contest in the past. Showmanship (1-5): Includes: dancing, crowd involvement, creativity on stage, facial expressions, body gestures, etc. All judging decisions are final. Though contestants may compete multiple times in an attempt to qualify, they may only receive 1 qualification for the duration of the contest. Harassment of judges will not be accepted. Finals will be held on June 2nd. Grand prize is $500 in cash!! To qualify for finals, you must place in the top 2 on one of the qualifying weeks.